As online shoppers scramble to get their last-minute presents delivered before Christmas, research by Sub-national Transport Body Midlands Connect reveals a massive increase in miles covered by delivery vans on the region’s roads – with so-called Light Commercial Vehicles (LCVs) travelling 8.8 BILLION miles across the Midlands in 2017, 1.3 billion miles (17.3%) more than in 2008. Government figures show movements by small lorries and vans – under 3.5 tonnes in weight – hit an all-time high in 2017 and are forecast to increase again in 2018. In the East Midlands, vans travelled 4.2 billion miles in 2017, up (20%) from 3.5 billion in 2008. Driven by rising demand for parcel deliveries, the presence of vans on the Midlands’ roads is expected to keep rising, with light goods traffic forecast to grow ten times faster than heavy goods vehicles between 2015 and 2050. Online shopping and parcel deliveries are also fuelling a rise in freight movements at East Midlands Airport, the UK’s busiest for dedicated air-freight. Goods are handled at the airport by DHL, UPS, FedEx/TNT and Royal Mail, with 356,000 tonnes of cargo passing through each year – growing by almost 10% a year. The October-December period, including Black Friday and Christmas, is typically the airport’s busiest. The airport’s cargo success has been key to the development of Segro Logistics Park East Midlands Gateway, a 700 acre logistics centre with a rail freight interchange and HGV parking, and associated infrastructure improvements to the M1, A50 and the Castle Donnington rail freight line. Growth in road and air freight has coincided with a sharp rise in online shopping. In 2008, internet retailers accounted for £1 in every £20 spent. By 2017, that had increased to £1 in every £6. Our changing shopping habits have also led to a big increase in parcel deliveries. There were 2.8 billion UK parcel deliveries in 2016 alone, up 65% since 2012. Black Friday and Christmas are the busiest times of the year for retail spending, with £78 billion spent in the UK last year, £19 billion more than France and £11 billion more than Germany. 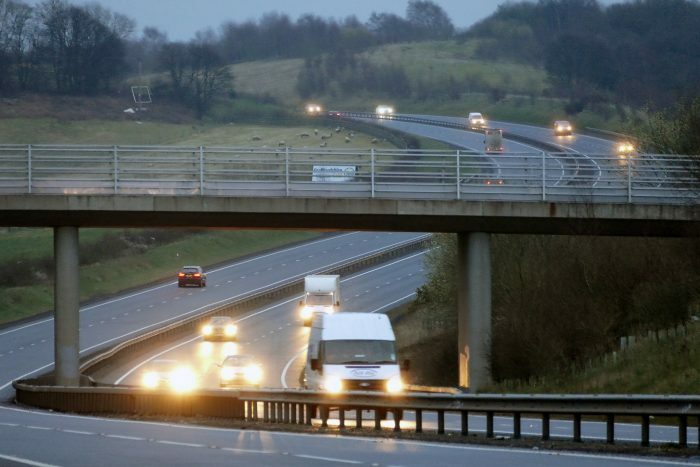 Sir John Peace, Chairman, Midlands Connect, said: “A third of all British road freight travels through, from or to the Midlands. We’re also a hub for major retail distribution centres, and we employ 20% of the country’s logistics industry. Although it’s clear the Midlands has benefited from our changing consumer habits, they are also increasing the strain on our already congested road networks. “The freight industry and retailers are rightly embracing new technology to become more efficient. This must go hand in hand with proper investment in road and rail networks across the country, and especially in the Midlands, to improve the reliability and resilience of our trade routes. With freight increasingly important to the Midlands economy, and with congestion set to cost the UK £307 billion by 2030, The Freight Transport Association is backing Midlands Connect’s call for a long-term plan that addresses the need for a recognised, multi-modal approach to national freight strategy. Midlands Connect is working with the industry on an updated Freight Strategy, building on its 2017 Freight Narrative Report. The strategy will assess the impact of Brexit on the freight, logistics and distribution industries, and how improved transport connectivity in the Midlands can support access to markets regionally, nationally and internationally. In 2018, Midlands Connect launched three major reports: the Midlands Motorway Hub, the Midlands Rail Hub and the A46 Corridor study. They all make recommendations that will benefit both freight and every day transport users. The Midlands Motorway Hub study makes 10 recommendations for improving the region’s motorway network, including addressing the conflict between long distance lorry movements and short distance commuter journeys; the Midlands Rail Hub creates space for 36 extra freight paths every day on the Midlands’ railways, which could shift the equivalent of 4,320 lorries per day off the roads; and the A46 Corridor study proposes expressway-standard upgrades which will make it much easier for freight traffic to access international freight gateways like East Midlands and Birmingham airports, as well as the Bristol and Humber ports.